Over the following weeks, I hope to report on the work each of these women accomplished to earn a place in Barton’s most admired list. It will be interesting to see how these women compare and contrast, which begs the question, who would Barton nominate from the women who achieved great things after Barton’s death? 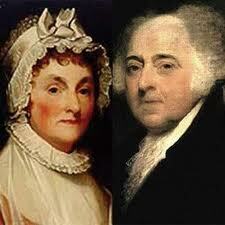 Our first nominee is (Mrs John) Abigail Adams. Born Abigail Smith in 1744 at Weymouth, Massachusetts, she died in Quincy, Massachusetts in 1818. Her husband, John, was the second President of the United States and her son, John Quincy was the sixth President of the US. Best known for her published letters to and from her husband advocating for women’s rights and giving insightful advice as his confidante, Abigail raised their six children and managed the family farm largely in his absence. Remember the Ladies, and be more generous and favourable to them than your ancestors. Do not put such unlimited power into the hands of the Husbands. Remember all Men would be tyrants if they could. If perticuliar care and attention is not paid to the Laidies we are determined to foment a Rebelion, and will not hold ourselves bound by any Laws in which we have no voice, or Representation. 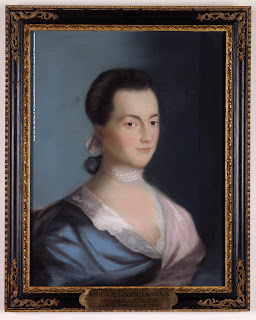 A friend of Martha Washington, she assisted in conducting parties at the Executive Mansion in Philadelphia, and moved into the White House as first lady during its construction. One of the most interesting remarks found on the internet was that she did not attend school, as if that damaged the quality of her education. During her lifetime girls generally did not receive an education, but considering the remarkable handwriting and thoughtfulness of her ideas, it seems obvious that a good education could be found outside of school, and in fact can still be found that way today.